We pride ourselves with our family name. Ryan Woods is a native Floridian born & raised in the heart of Fort Lauderdale. His Dad, Pete Woods, owned Woods & Oviatt Yacht Brokerage. 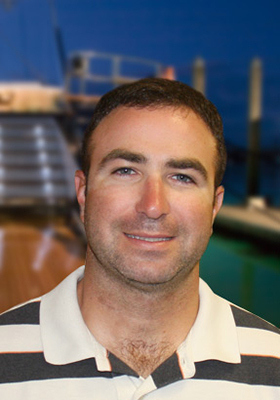 He grew up in the business and became accustomed to the boating lifestyle from a very young age. The family did most of our boating in the Bahamas and local Florida waters. Over the years Ryan became an avid fisherman and diver. He always knew he would work in the family business. After high school Ryan worked in the industry learning the ropes from the ground up. Woods & Oviatt had been sold to Marinemax prior to his career. Ryan worked there along side his Dad for five years. They decided to start their own company again in 2006. It was an easy decision. The same blueprint that successfully ran Woods & Oviatt for 26 years is the foundation of our new company Woods & Associates Yacht Brokerage & Reality. We pride ourselves with our family name.